Scarlett Moffatt is a British television and radio personnel who has been on several reality shows and hosted several others. She is not just a TV and radio personnel but also a great dancer who was once a ballroom and Latin dancer and has participated in several competitions. Moffatt has done great in the series of shows she participated in, one being the famous British show I’m a Celebrity…Get Me Out of Here, where she emerged as the winner. All these achievements did not come so easily as she put in so much efforts and also had her own challenges while growing up. She was hit by a car at the age of eleven leaving her with Bell’s Palsy but that didn’t stop her from achieving all she wanted and dreamt of. Scarlett Sigourney Moffatt popularly known as Scarlett Moffatt was born in Bishop Auckland, County Durham in England on October 17, 1990, to her parents – Mark and Betty Moffatt. She attended York St John University where she studied PE and Sports Coaching, after graduating she became students’ disability adviser. She worked with ASDA as a checkout operator while still in Bishop Auckland. Moffatt is a television presenter and reality show personality. Scarlett gained fame when she appeared on Beauty School Cop Outs, a new series on MTV in 2013. The show featured some young British ladies and guys who learned the trick of trade in Manchester beauty school. Gogglebox is a British family reality show that airs on Channel 4; in 2014, she went for the show with her parents during the third series which was in March of that year. Ava-Grace, her younger sister came into the show during the seventh series, and in the eighth series, Luke Crodden, her boyfriend was also there. She also took part in another show I’m a Celebrity…Get Me Out of Here!, this time a reality show where selected celebrities live together in a jungle camp in Australia and face certain challenges and at the end of the show, a winner is crowned jungle king/queen. Scarlett participated in the sixteenth series on November 8, 2016, and emerged as the winner and was crowned jungle queen. After emerging winner of I’m A Celeb, she appeared on Virtually Famous as a panelist in December 2016. In January 2017, Scarlett Moffatt was the presenter of Streamate, a dating show that aired on Channel 4 after it was revived. It was a dream come true for Scarlett Moffatt as she was a big fan of the show when she was younger and always admired the then presenter Davina McCall. As a young fan watching the show, she hoped to get there someday and be like Davina when she grows up. She also presented for the National Television Awards on backstage in January 2017. Another show which Moffatt participated in was Ant and Dec’s Saturday Night Takeaway. She also confessed to being a huge fan of the show as she watched it with her family for a very long time. She said she considered it an honor being in the show alongside Ant McPartlin and Dec Donnelly whom she said are her TV heroes of all time. She was also the co-host of I’m Celebrity alongside Dec Donnelly without Ant McPartlin in 2018. It was announced in May 2018 that she would cover the Royal Wedding for Radio1. She was on Heart’s Feel Good Easter Weekend, an evening radio show on Heart as a guest host on April 2, 2018. 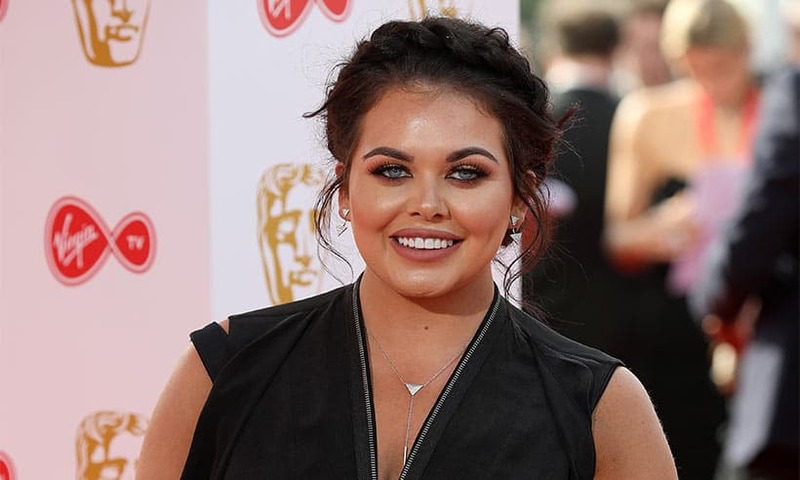 After being made popular from the series of shows she has been in, there are job opportunities coming to Scarlett Moffatt but she is very careful at the ones she goes for, as according to her she doesn’t want to bore her fans by seeing her everywhere on the screen. Her income started coming in even before being crowned the queen of the jungle as she was paid the sum of $70,000 for being in the show. She has also made quite a fortune for herself not just by being in the jungle and winning the crown, but also from various shows she hosts, her books, fitness DVD and so many others avenues which accumulated to a whopping sum of $1 million as her estimated net worth. There have been controversies concerning this reality star’s weight loss. She had credited her weight loss to ‘Scarlett’s Superslim Me Plan’, a fitness DVD of hers that was released on December 26, 2016, where she shared tips on how she dropped 3 stones while living on 1,200 calories a day, going from a size eighteen to size eight but there were rumors that she took pills to lose weight, which she, of course, denied. 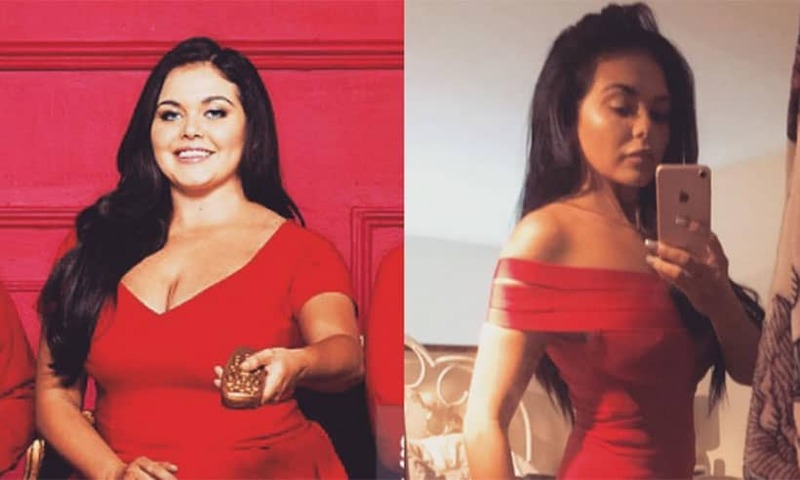 However, it was confirmed Scarlett Moffatt signed up with Jayne Irving’s Big Shot Productions Ltd; where she was trained by fitness trainer David Souter and lived on just 700 calories a day, this happened five months prior to the filming of her DVD. Her fans’ disappointments were that after the video and the incredible result on her weight loss it didn’t take time before she gained more weight. It led to a backlash as many who purchased her weight loss video demanded payment of 100,000 as compensation. Scarlett Moffatt has not been quite successful in her relationships as she has been with her career. This reality show diva has been in relationships that didn’t end so well. She was in a relationship with Luck Crodden, which started in January 2016. Things were moving so well but didn’t end well as they parted ways just one year later in 2017. They came back together in June that same year but as much as they tried, it didn’t work out because they once again ended things around the end of 2017. Read Also: Carol Kirkwood Biography, Salary, Weight Loss, Is She Married, Where Is She? Lee Wilkinson is a fitness model who in County Durham trains college students. Scarlett and Lee had known each other for more than ten years, haven been there herself before moving to London. It was made known in February 2018 that they were in a relationship, it wasn’t long after this revelation that the relationship ended in April 2018 after he cheated on her. After the split from Lee, Scarlett has decided to give dating a break for now and is not in any relationship at the moment. Although there is information that Lee is trying to get back together with her but that doesn’t seem to be working out so well with him as it doesn’t look like she is willing to have him back.